Cannabidiol CBD came out to the world in a big way after this simple plant chemical stopped an epileptic seizure in its tracks on U.S. national television. In the time since, many enthusiasts have realized that this miracle compound can stop spasms, calm anxiety, and soothe those in chronic pain. 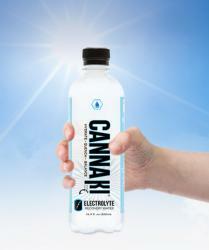 Drinking CANNAKI CBD Water can help you stay hydrated while simultaneously nourishing your endocannabinoid system. The endocannabinoid system is responsible for regulating balance in our bodys immune response, communication between cells, appetite and metabolism, memory, and more. CBD interacts with the body through the endogenous cannabinoid system ECS or endocannabinoid system. First discovered in the late 1980s, the endocannabinoid system regulates the bodys homeostasis, or general state of balance, impacting such functions as mood, sleep, appetite, hormone regulation, and pain and immune response.Four primary purposes of the ECS include neuroprotection;Stress Recovery.Immune Balance.Homeostatic Regulation. Creates Optimum Energy Balance in the Body. Somehow, CBD seems to tap into this balancing system to produce its therapeutic effects. CBD is able to interact with cells in our bodies because the molecule has a similar composition to similar chemicals that the human body produces naturally, called endocannabinoids.FOOD AND DRUG ADMINISTRATION FDA DISCLOSURE: These statements have not been evaluated by the Food and Drug Administration. 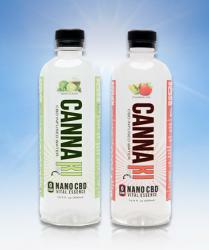 CANNAKI Beverage are not intended to diagnose, treat, cure, or prevent any disease.